In a food processor puree the garbonzos beans until finely chopped. Add olive oil and puree again for about ten seconds. 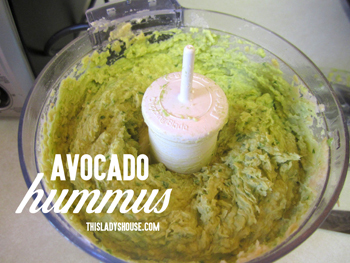 Cut avocado into small slices and add into the mix then puree until well combined. Add your green onion, lemon juice, salt and pepper or seasoning of choice. Puree and serve or refrigerate! This entry was posted in Recipe and tagged Condiments, Snacks.